My Mama’s cousin made time for a visit with us on Tuesday as she made her way back home to Florida after a trip to North Carolina. It is always good to see her for many reasons, but especially because she reminds me so much of all the ones we love and miss. And that we can love and miss them together. So many stories we can share and laugh about. She brought with her some pictures that her Mama, my great Aunt, had kept and put in albums over the years. Pictures of us–some were from her trips up to see us, but many were ones Mama had sent her when we were little and ones I sent when my own Aub was small. Remember when we took film to the Mart and dropped it in an envelope after writing our name and address and phone number on it? And those boxes–matte or high gloss and…..single or duplicate prints? I seem to remember that the duplicates weren’t really too much more expensive than the single prints, so I usually checked duplicate. I can remember the excitement of opening up the prints and going through, making a pile of the second prints to share with different folks. And now, what a gift these all are…..put together in an album…..glimpses of my childhood and the beginning days of being a Mama…..almost twenty years ago. Yes, I was moved to tears. That my Great Aunt had saved them all those years and put them into albums, the love just shone through. But most of all, I smiled and held the pictures and the memories in them close, thankful they’d been given to me all over again. 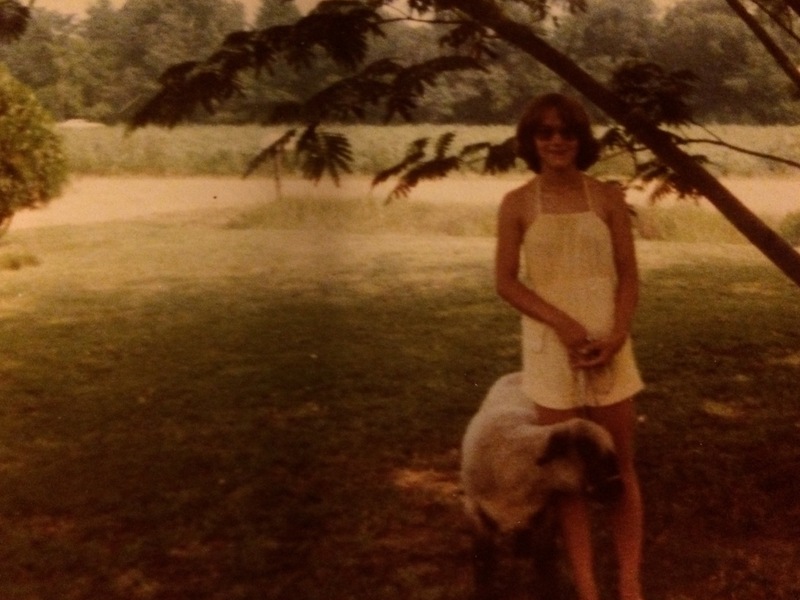 Me and my sheep, Raspberry. How he got his name is a story for another night. 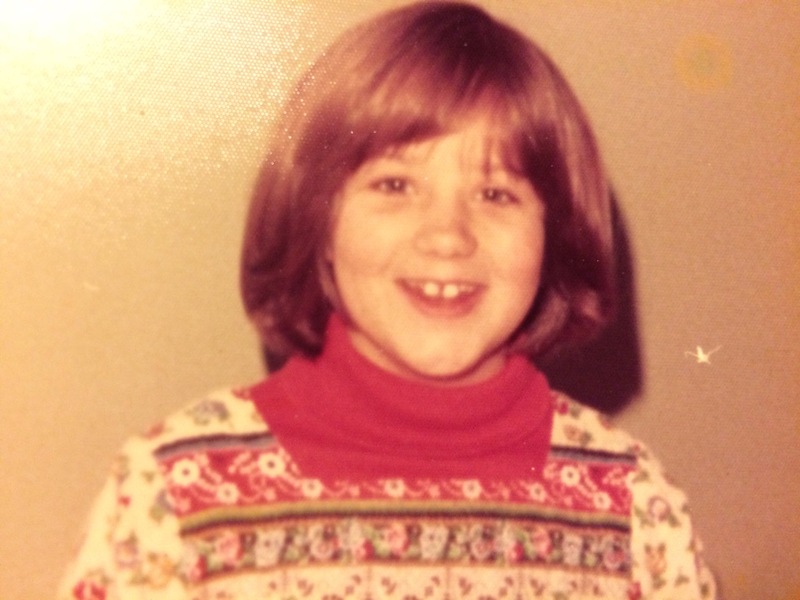 Loving the 70’s fashion statement I’m making here–or early 80’s. It all sort of ran together. Maybe 8 or 9 here. About Cooter’s age. And speaking of my little guy…..it’s possible that maybe he might actually look like me. This is the first time I’ve realized it. 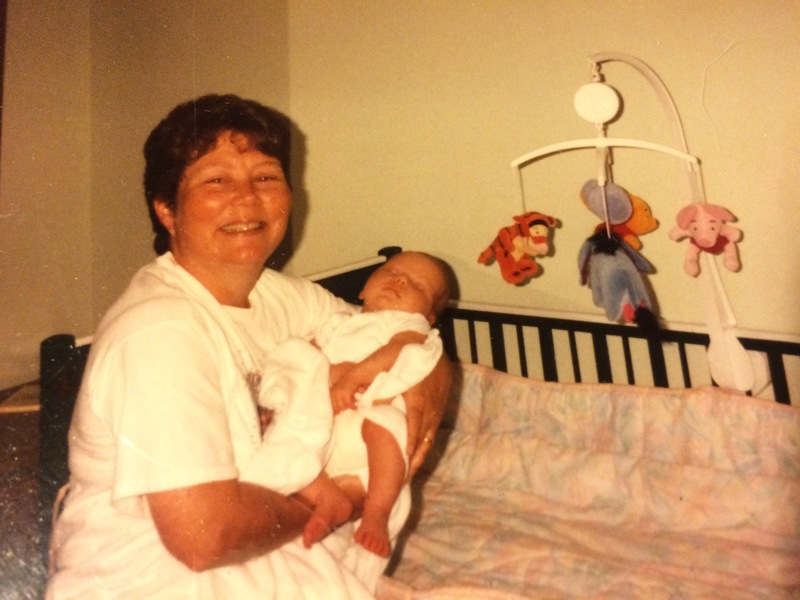 My Mama, doing what made her happiest, loving on her grand baby–my big girl–this was almost 20 years ago. Where has the time gone? Tonight I’m thankful for visits and memories and stories from the past. For laughter and tears and hugs and pictures taken to save a moment for always, I give thanks. Most of all, I’m thankful for the people and the love that each story and picture holds. Wishing you all someone to share duplicate prints with, and the delight of finding treasures from the past. Cooter absolutely looks like you! !